Oh dear, I have been challenged once more. I’m not being true to myself, it seems. I got so far with it all last year, and then just stopped again. A few things in a row have reminded me that I need to get the heck off this plateau and start growing before I start dying. Most of the time, Caryl. I then read back my reply and thought, hang on… is that actually true? The fact was I had been making a conscious effort to keep any lyrical outbursts to an absolute minimum when talking through the practical elements of the Project because I felt like it disrupted our flow. However, when I think harder I recall restricting my verbosity in most other social situations as well. I thought I’d grown out of that. I used to avoid using long words at school even though I took such pleasure in knowing the right word for the right occasion. I found the confidence to speak in my own way after being at sixth form college for a while, but now as a proper grown-up (ha!) I seem to have lost it again in almost every context. The one place I still verbalise with reckless abandon is here on this blog. I’ve always marketed it as the place where I tell you how I feel about things, at great length, unedited. So I suppose writing in my true voice here is a good start for learning to grow again. Read that second point again. 2. Music I made because some otherworldly passion and determination effectively took control of my body and if I didn’t make it felt like I would die. Oh, man. 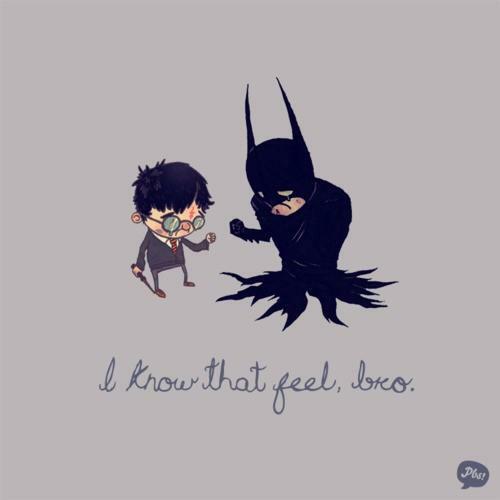 Was there ever a more fitting moment for the expression, “I know that feel, bro.“? Sometimes I’m so desperate to write or to sing it feels like I’m going to die unless I do something. I feel a sickly fire in the pit of my stomach. I wasn’t just making it up after all. It really is something musicians feel sometimes. I hadn’t been allowing myself to use my in-built emotional vocabulary. Why? Because I had convinced myself if I did I would be nurturing some kind of mental health problem. All I needed to do was to snap out of it and be ‘normal’. Then I could be happy with the status quo just like everyone else. Eh-errr. Later that night I came across this article describing the top 5 regrets of the dying. Number 1 on that list was the regret of not living a life true to oneself. I scoffed a bit because right now I’m doing my dream jobs, but that’s far from the full definition of living ‘true’. I’m working on what I love, but how much freedom have I been allowing myself? The next day I was due to visit an adult day care centre where I would help with a short service as led by our vicar. I went there with my little guitar in tow and sang the clients a few hymns. Afterwards I went around shaking hands with them and trying my best to strike up a bit of conversation. Apart from my usual awkwardness, I also had a feeling of powerlessness. What was I doing here? Isn’t this just a smack in the face to these people? I have no idea what it’s like to be old or disabled, and there I was just ‘tralala’-ing like all was well with the world. One of the residents, a middle-aged gentleman, began talking to me. He explained how he had lost his hearing and the thing he missed most was music. I couldn’t catch everything he was saying because he had a bit of trouble forming his words, but what I think he said is that he had begun to lose his hearing and ability to balance due to a brain tumor. I wanted to be able to say something of encouragement, but what can you say? He seemed satisfied with being able to talk to me for a minute or two. I hoped that was enough. It was all I could give in that moment. I felt incredibly drained that evening. The gravity of it all got to me. I have so much in the way of resources and ability and yet I treat it all as if it were nothing. I met someone that day who would love to have my ‘nothing’ even for just a few hours. How can I get to seeing myself as I am? How do I hold up a mirror to myself without mentally distorting my reflection? I want someone to tell me who I am, and yet I know that is impossible when so much of my energy goes into hiding me. Not that I should be relying on what others think… but sometimes it helps to have someone that understands, you know? I think what I’m trying to say is this: I want to start being myself in front of you guys. I’ll be doing it anyway, but if any of you are willing to accept me, I would be very grateful.